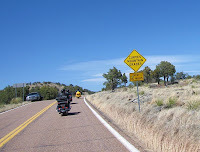 Got back home Wednesday from my 5-day motorcycle camping trip to Arizona. Wow, what a great time! To sum it all up in one word: COLD! My leather jacket and thermal undies kept my body and legs ok, but my hands were freezing. I brought two pairs of gloves, a pair of summer gloves and a pair of winter gloves. On day #4 the morning was so cold I put both pairs on, yet it still did little good. So now I'm looking at heated grips for my ST. But this trip was all about riding some great roads, and hanging out with great friends by the campfire. 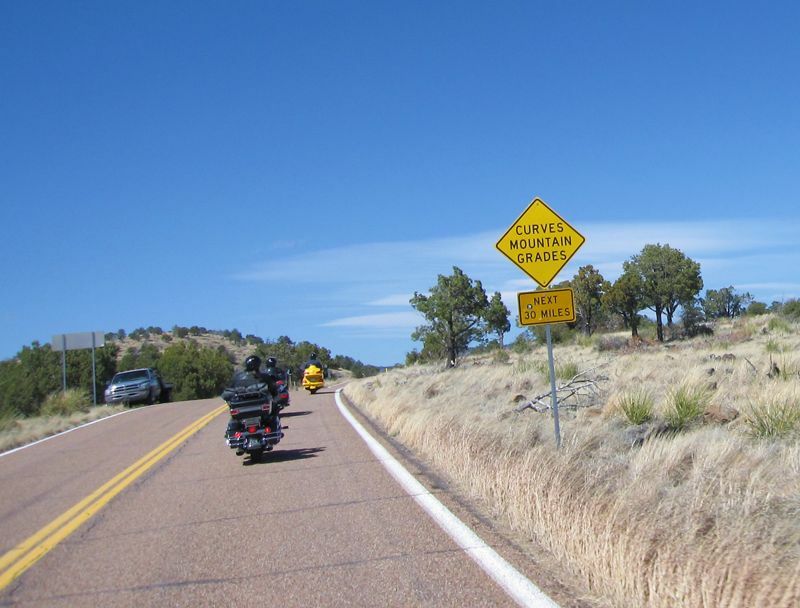 There's something neat about a motorcycle camping trip. Your whole world is reduced down to just you, your motorcycle, your friends, and whatever the road brings you. One half of the day is spent with our minds focused on navigating curves at high speeds, the other half is spent mesmerized by a campfire. The establishments we stopped at observe us as just a handful of patrons out of hundreds they see everyday. And we see them as just a handful of establishments out of hundreds that we passed by. Our world is a blur at 80mph, while their world stands still. We see a forest of trees streaming past us, while they see the forest for the trees. One part of me says that it's good to be back, and another part says that I want to get back on the road and go somewhere else. Well, I could go on and on and on, but I'll save it for future blog posts. I’ll be leaving the 22nd to travel some of the same roads. Sure hope it warms up a little. If not, o-well.